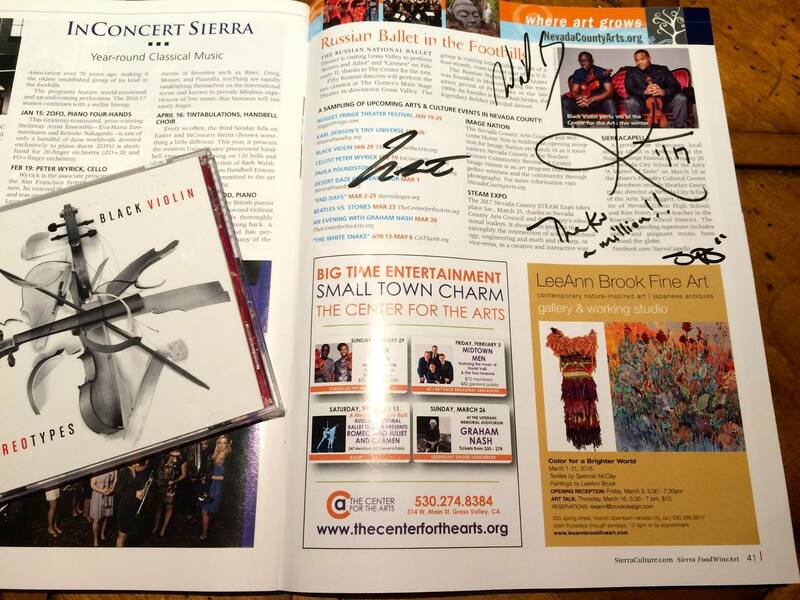 Our family enjoyed watching Black Violin perform at The Center for the Arts in Grass Valley on Sunday night. It was a sellout. The stereotype-defying, hip-hop violin duo Black Violin is striking a chord at just the right time — considering the sorry state of American politics. We enjoyed visiting with Julie Baker of The Center, Mieko Hatano of MIM, and Alison Lehman, assistant county executive of the Rood Center, and some of our neighbors, among others. Alison and her family enjoyed the show. The Center helps local parents with a major challenge in our community: Exposing our children to diversity without traveling out of town (which we do regularly). We’ve also enjoyed seeing Wynton Marsalis and the Blind Boys of Alabama in Grass Valley with our son, thanks to The Center. 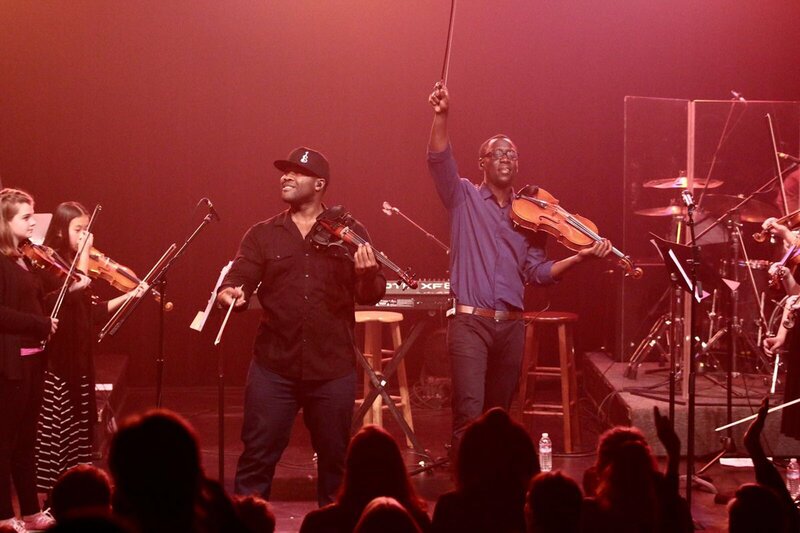 Black Violin is on a Unity Tour across the country. Before coming to downtown Grass Valley, the group played at Stanford University’s Bing Concert Hall. “Through the message of Black Violin’s music, we’ve spent the last 10 years working to encourage and empower people of all ages, ethnic and socioeconomic backgrounds to find what connects us, rather than shine a light on what divides us,” said the Miami-based duo Wil B. and Kev Marcus. We last heard Black Violin perform at the Heisman Trophy ceremony in New York in December on ESPN. We also promoted their performance at The Center in the current winter issue of our magazine. After the show we visited with Black Violin. I mentioned the Heisman Trophy performance, and they told us they’re now going to be regulars on ESPN as a “house band.” Good going!